First of all, it is necessary that all new shooters be very familiar with the basic rules of firearm safety before taking a trip to the range. For hunters, I actually recommend taking a hunter education course first before you go shooting. It’s certainly not required, but serves as an excellent introduction to guns, ammunition, and safe handling principles. 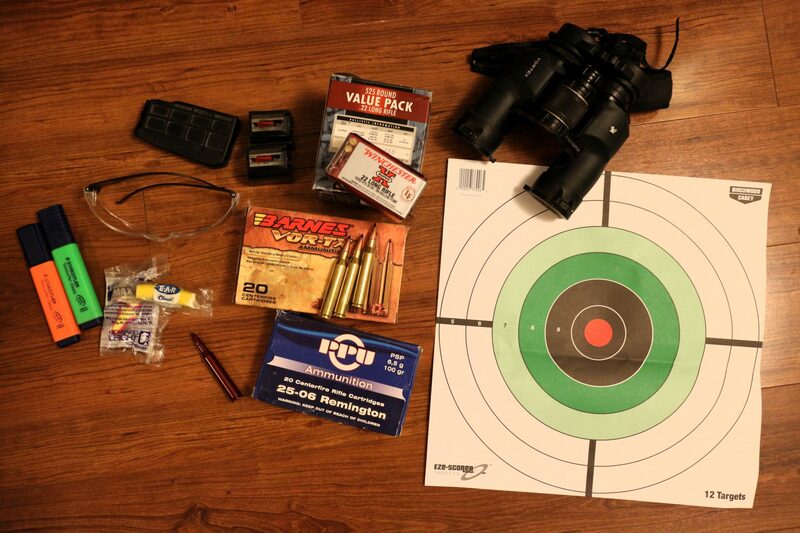 Before you take your first trip to the shooting range, do a little research on the range(s) you would like to visit. If the range website doesn’t offer sufficient information, give them a call! Range fees, location, and hours will all factor in to your decision to visit one range versus another. But you should also think about how far you want to be able to shoot at the range. As a hunter, I spend the vast majority of my shooting time at outdoor ranges because they are more likely to offer longer target distances of 100, 200, and even 300 yards. 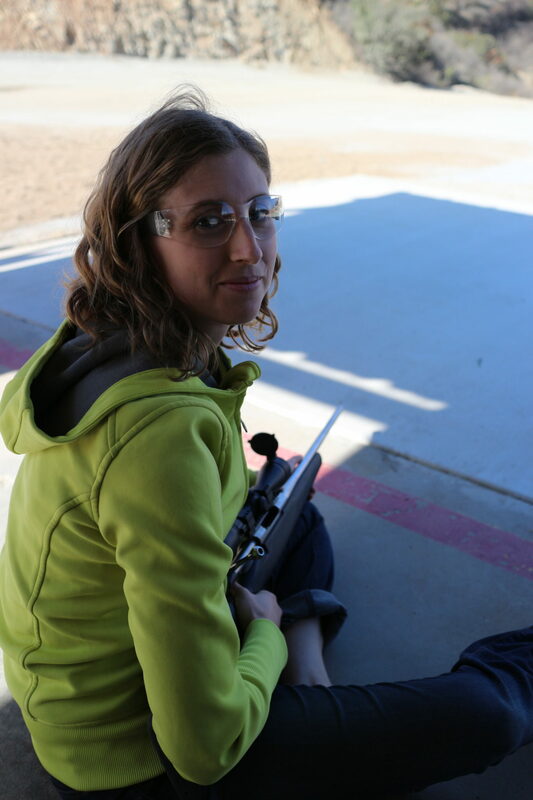 I also like outdoor ranges because I’m an outdoorsy person and pretty much always prefer sunshine and fresh air to fluorescent lighting and air conditioning. Furthermore, outdoor ranges offer shooting conditions that are much closer to what I’ll experience on a hunting trip. If there’s a breeze that day I can practice accounting for that in my shots — a skill I could not practice a climate-controlled indoor range. Additionally check to make sure that your range of choice even allows the type of gun you want to shoot. For example, I’ve been to some ranges that only allow pistols or rimfire rifles. I would not be able to rent or bring my centerfire big game rifle there. Many ranges don’t allow shotguns unless they have a shotgun-specific area. Don’t own a gun yet? Some ranges also offer firearms rentals. This can be a great way to try shooting without investing much money. And many ranges also sell ammunition, though often at significant mark-up. You should be able to find out both of these things before you go by visiting the range’s website or by placing a quick phone call. What should you bring with you to the range? First of all, if you are bringing your own gun, make sure you look up the rules in your state or county regarding transportation of firearms in vehicles. Before you leave the house, check and double-check that your gun is unloaded. Check that the magazine is out (but don’t leave it at home by accident) and check by sight and by feel that the chamber is empty. Also, make sure you have a carrying case for your firearm. Place the unloaded firearm in your case and lock it if necessary (dependent on your local laws). In a separate bag I pack the following necessary items: a few boxes of ammunition, magazines, targets, eye protection, and ear protection (either ear plugs, ear muffs, or both). There are also some non-necessary items you may want to consider. For example, I usually bring a couple of colored markers to use to label groups of shots on my targets. I also bring binoculars or my hunting spotting scope so that I can view where my shots hit without having to physically go check my target. Your rifle scope can also work for this task, though may provide less resolution than dedicated optics. Finally, I also bring snap caps (“dummy” ammunition) so that I can reinforce good trigger control habits while I’m there. My most basic range gear: magazines, ammo, targets, binoculars, eye and ear protection, snap cap, and markers. What should you wear to the shooting range? I usually wear some comfortable clothes that I don’t mind getting a little dirty and are easy to wash. Long sleeves and long pants are best, but you’re not going to get ostracized for wearing a t-shirt or shorts. This has been said so many times on the internet but it bears repeating: don’t wear low-cut tops! Hot, ejected brass that falls down the shirt makes for an unpleasant sensation. Similarly, a hat with a brim helps protect your head and face from ejected brass and close-toed shoes will protect your feet. What to expect on your first trip to the shooting range differs a bit on whether you are headed to an indoor or outdoor range. But there are a few things that all ranges have in common. First of all, it is expected that you walk up to the range front desk/front office with your firearms cased. Park your car, grab your bags including the bag or case that contains your gun, and walk all of that up to the front desk/front office. Here is where you will check in, sign waivers, and pay range fees. You may also be able to buy targets and ammo here or rent a gun if the range offers this service. If you are asked “What are you shooting today?”, the caliber of your gun (25-06, .308, .204, etc.) should be a sufficient answer. They may also ask what brand of ammo you plan to use and ask to inspect your ammo. The reason for these questions is that some calibers and some ammunition may be considered too powerful or dangerous for the range. They aren’t quizzing you or trying to get you in trouble, they are just trying to make sure that everyone at the range can stay safe and happy and that no one’s equipment will cause undue damage (e.g., incendiary ammo is a bad idea). In addition, range rules are always posted somewhere around the range entrance or check-in area. Make sure you find them and read all of them. There are many rules that are the same across all ranges and some that are range-specific. For example, what should be done with spent ammunition cartridges (also called “brass”)? Will there be regular cease fires called? Are there rules about rate of fire (how rapidly you can pull the trigger)? If you have questions about the rules and how to implement them, ask a range officer before moving on to the shooting area. Be forthright with the range officer if this is your first time trip to the shooting range. He/she will likely be quite friendly and offer some helpful guidance for making your first time safe and enjoyable. I know it sounds a bit intimidating to just come out and admit that you’re a newbie, but the reality is that range officers tend to have a passion for shooting and are excited to see newcomers taking up the hobby. They’ll also probably appreciate your honesty and sincere concern for safety. An indoor range may be part of a full service gun shop or be a stand alone business. Either way, you will enter the establishment via a main lobby that has a front desk. The range itself will be in a separate room with a closed door separating the two spaces. You don’t need to wear your ear and eye protection in the lobby but you will need to put them on right before you walk in the door to the firing range. You will typically be assigned to a numbered “bay” or station that has a small table for you to rest your gear on. 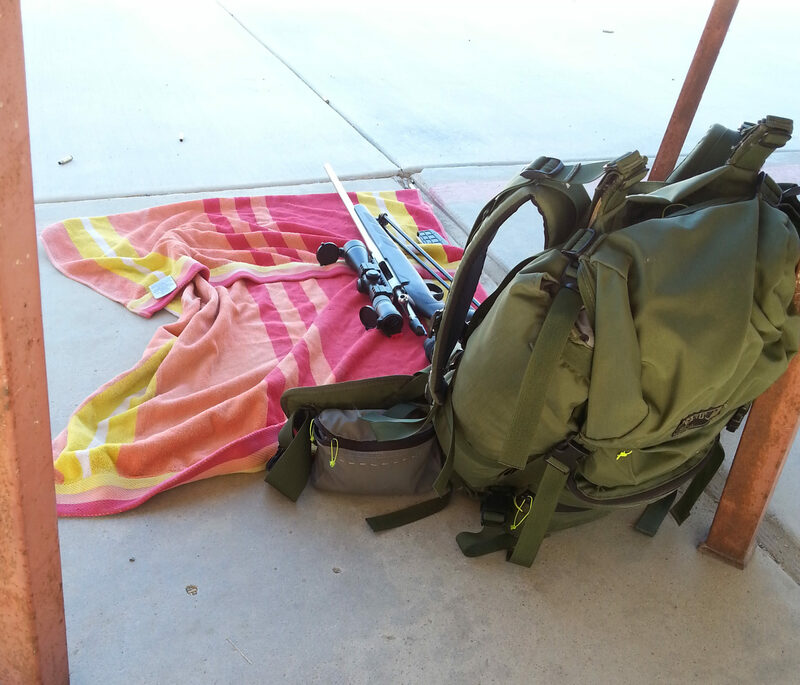 The norm (and often the rule) is only remove your gun from its carrying case once you have placed the carrying case on the table with the gun inside pointed straight downrange (toward the target area in front of you). On the other side of your table is what is called the “firing line”. In every indoor range I’ve ever been to, shooters always stand behind the firing line at all times. In order to set up and check your target, you will use an electronic or manual pulley-type system that is attached to the ceiling. Because everyone can check their targets without having to move into the line of fire, you won’t have regular cease fires that are the bread and butter of outdoor ranges. But not all indoor ranges work this way. I know of some 100 yard indoor shooting ranges that operate a bit more like outdoor ranges, so read on to the next section on proper cease fire protocol. Because indoor ranges tend to be shorter in distance (often only 25 or 50 yards), you will likely see a larger percentage of people shooting pistols. Many people will be shooting from a standing position, perhaps at targets that have a somewhat human form. Unfortunately, there are a lot of videos and articles about what to expect at an indoor range but very little about what to expect at an outdoor range. Outdoor ranges will have a much more open feel to them and there won’t be any walls or doors to block the loud noise. I typically don my eye and ear protection at the car and walk up to the range with it already in place. Follow signs to the main check in area. Just like at an indoor range you will be assigned to a bay or a shooting lane. Often the lane will include a table and a stool. On the downrange side of the table and stool is the firing line. You should never cross the firing line for any reason unless the range is declared “clear and cold”. What does that mean exactly? At an outdoor range, there’s not usually a fancy target pulley system suspended from the sky. Instead, you will need to walk out to the target area to set and check your targets. (At the range I’m a member of they actually request that you drive out to the 300 yard targets along a little dirt road because it would just take too long to walk there and back). The range officer will call a cease fire at regular intervals (perhaps every 20 or 30 minutes). You will usually hear the call for a cease fire via a loudspeaker. Sometimes range lights will also flash to help alert you. When a cease fire is called, there is a basic protocol you must follow. First, stop shooting. Next, safely remove your magazine and unload your gun. Lock the action in the open position and place the firearm down on the table with muzzle (end the bullet comes out) pointed downrange and with the open action facing up so that anyone walking by can see into the firing chamber. Some ranges may provide you with a “chamber flag” which is basically a little plastic flag that you stick into your chamber to show that it is empty. After you place the firearm on the table unloaded with the action open, step back clearly away from the table (often ranges will have a line painted on the ground for you to stand behind) and patiently wait for the range officer. The range officer will walk around to every shooter and inspect their gun to make sure it is safe. After all guns are checked, the officer will relay an “all clear” signal. The next announcement will say something like “The range is cold, you may now go downrange to check your targets”. During the time when the range is cold you may not touch any firearm for any reason. You should not approach your shooting table and you should not uncase or re-case any guns. But you can cross the firing line and go check or retrieve your targets. This system works well and is quite orderly, but there’s a little more time management involved for you as the shooter. You may need to wait a while after arriving at the range before you can even set up your first target or wait a while to grab your target before you can leave for the day. You can only get your target when the range is cold and you can only pack up your gun when the range is hot. Patience is a virtue at the outdoor range. I’m allowed to shoot from the ground at my outdoor range. I bring my backpack, as that’s what I’ll be wearing when hunting in the wilderness. A towel to sit on is also nice. Because outdoor ranges often offer longer target distances (50 yards and beyond), you will tend to see more rifle shooters and people more interested in long range accuracy. Bullseye type targets are common. Many shooters will sit on their stool and use the table and other implements such as blocks or sandbags to stabilize their gun to achieve more consistent shooting. Outdoor ranges may also get a bit busier in the weeks before deer season or other popular game season openers, so keep that in mind. Hunters seem to be more commonly found at outdoor ranges, likely due to the added target distance. I’ve also found that, in general, outdoor ranges tend to be a bit less intimidating to the newcomer. I couldn’t find a video for you all that gives a good introduction to shooting at an outdoor range. Perhaps I’ll have to make one. Before closing, I want to talk briefly about the topic of range etiquette. 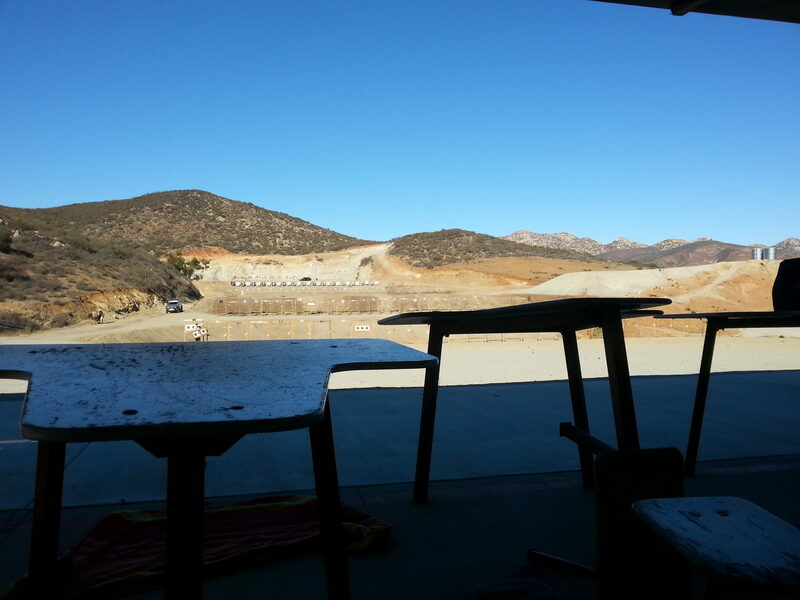 When I took my first trip to the shooting range I had no idea what to expect. The posted range rules and range officer helped answer a lot of my questions, but there are surely some “unwritten” rules that I could only find out from observation and personal experience. First, do not disturb other shooters while they’re actively shooting or handling their firearm. They may be in the midst of a shooting drill or exercise and don’t wish to be interrupted. Shooting well requires focus and a curious but well-meaning person could diminish focus unintentionally. In addition, I prefer not to distract someone while they’re handling a possibly loaded firearm. That being said, I’ve found most shooters to be quite friendly when they’re taking a break or changing targets during a ceasefire. It’s more than OK to say hello and ask questions! Many people who love shooting and hunting also love to talk about shooting and hunting. I’ve heard great stories about elk and deer hunts and heard useful tips about using bipods in the field or shooting into the sun from the guys next to me at the range. On that note, be prepared for other people to ask you some questions about your set up. This is one thing that really intimidated me when I first started shooting because I felt like I wouldn’t know the answer to any of their questions and I would look silly. I learned that there are only a few things you really need to know to avoid looking silly. One is the caliber of your gun. Two is the manufacturer and model of your gun. Not bad, right? You may get other questions about your ammo (keep the box with you so that you can just show it to them — problem solved!) or about your scope (“Ah I don’t remember, I just got it and the name isn’t coming to mind right now”) if you have one. If you’ve made modifications to you gun (e.g., an upgraded stock or an elevated cheek rest) people will tend to ask about those things too. The other most common question I get is something along the lines of “Why are you shooting?”. They don’t phrase it quite like that, but basically people are curious if I’m into target shooting/competition shooting, hunting, or just shooting because I get a kick out of it. Really they’re just trying to make conversation and perhaps gauge if you both share common interests. Occasionally you might see someone shooting a gun at the range that you find very interesting or is one that you yourself have considered buying. First of all, never touch someone else’s gun without their permission. I also wouldn’t ask someone if you can try their gun, but be aware that someone might offer the opportunity to hold or even fire their gun if you express interest in it. If this does happen, remember: never assume that someone else’s gun is loaded or unloaded. Always check for yourself and then continue to follow safe practices by always pointing it downrange. Decline the offer if you don’t feel comfortable knowing how to check and operate the firearm. And if someone ever asks to try shooting your gun, you are absolutely within shooting range etiquette to say no. “No, I’m sorry, it’s just a personal rule I have. But thanks for asking!” is a polite way to decline. Finally, whenever you find yourself in doubt, ask the range officer! They can seem intimidating because they are watching to make sure you follow the rules, but they are typically very kind, helpful people. Express your gratitude for their help and always defer to their instructions. Trying something new for the first time will always produce a bit of nervousness. This nervousness can be adaptive — it helps us to be very careful and cautious. On the flip side, feeling intimidated by the shooting range environment can really hamper new hunters. But a little knowledge and preparation can go a long way to ease the discomfort of a first timer. How was your first trip to the shooting range? Or if you haven’t been yet, what aspects make you most nervous? I’d love to hear from you if you think of anything important I might have missed.